Idaho has, over the years, greatly expanded the number of web cams. Between the ever-increasing number of ski area cams, as well as the nice selection of Idaho Road Cams, a viewer can pretty much take in much of Idaho now. Know of a good cam not listed? Or is a cam not working? If so, please contact me and let me know. The various ski areas provide some of the most beautiful views in Idaho. Bogus Basin Ski Area Web Cams : Live views from the Bogus Basin Ski Area outside of Boise, Idaho. Brundage Mountain Web Cam : Web Cam view from the Brundage Mountain Ski Area in McCall, Idaho. Lookout Pass - Nice views from Lookout Pass ski area. Mt. Schweitzer Ski Area Web Cams : View of the mountain and village area at Mt. Schweitzer. Click on "web cam" icon on right side of page. Sawtooth Mountains Web Cam : A scenic camera showing the Sawtooth Mountains. Located in Stanley, Idaho. Sawtooth Mountains & Redfish Lake : Beautiful view in the Sawtooths. Sawtooth Mountains - Mountain village resort. Sun Valley Ski Area Web Cams : Multiple cameras of Sun Valley Ski Resort. Tamarack Mountain : In Donnelly, Idaho. Teton Mountains Web Cam : Scenic View of the Tetons from Driggs, Idaho. Alpine Junction Camera : Border of Idaho and Wyoming, near Driggs, on US 89. Boundary County Airport : Nice View of Mountains in Bonners Ferry. Cascade : Kelly's Whitewater Park. 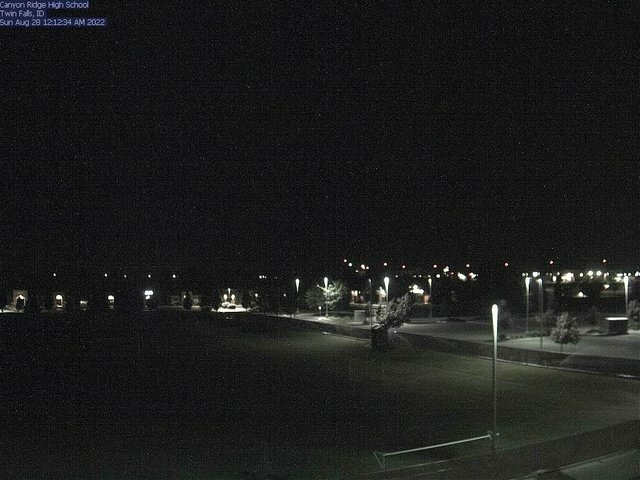 City of Boise Web Cam : An Air Quality camera. Deary, ID : Highway Cam. Fernwood Weather Cam : Fernwood, ID. Idaho Journal Web Cam in Pocatello, ID : User Controlled camera in Pocatello, ID. KLEW Weather Cameras in/around Lewiston, ID : View of the Lewiston Valley and nearby areas. Kootenai County : Spokane River Ridge. Lolo Pass on ID/MT Border : Looking into ID from a Montana DOT road cam. Lookout Pass Web Cam on ID & MT Border : A Montana DOT road cam showing road conditions at Lookout Pass. Lost Trail Pass on ID & MT Border : On highway 93, north of Salmon. May Marina Cam : In McCall, Idaho. Main Traffic Cam Page : Browse the entire list of Idaho DOT cams. Visit Idaho - Official visitors site for the State of Idaho. State of Idaho - Official site of the State. If you plan to visit Idaho, be sure to pick up some books to help you plan your trip. All available through Amazon.